Samaritan’s Purse is a nondenominational Christian organisation, started in 1970 and now giving help in Jesus’ name to those in need – regardless of who they are – in over 100 countries around the world. Working alongside local churches they not only share the gospel of Jesus Christ, but also give physical help in some of the most difficult places on earth. This help comes in many forms such as providing all kinds of disaster relief following man made or natural disasters, giving access to clean water and sanitation, healthcare, schooling, and care for widows and orphans. 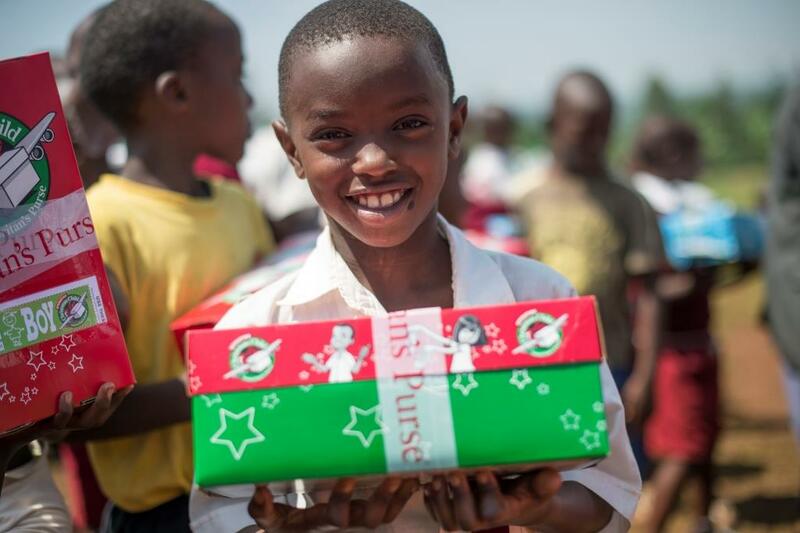 Since 1990 Samaritan’s Purse has also been responsible for Operation Christmas Child. This concept is to cover an empty shoebox and fill it with gifts to send as a tangible demonstration of God’s love to a needy child aged between 2 and 14. 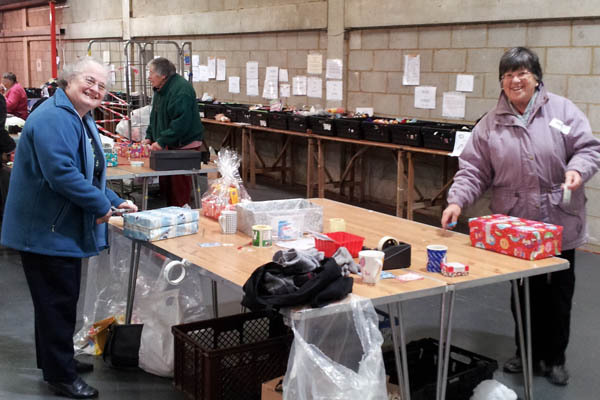 Nearly 1 million boxes are sent each year from the UK and some of these are from CCC! Every month we collect different items covering hygiene, toys, something to wear and things for school. November - we fill the boxes and they are taken to a local warehouse where they are checked and sealed before being shipped overseas by land and sea. Sadly, there are never enough boxes for all the children, so the local distribution team are careful to make sure every child gets at least one in their lifetime. The boxes are given on the basis of need. Where culturally appropriate a copy of the booklet The Greatest Gift is also given and the children are invited to attend a 12- week course entitled The Greatest Journey. The children attending are introduced to Jesus and the Christian life. Many young lives have been transformed following the course and changed from sadness into a life full of hope in Jesus, indeed many have gone on to become pastors, missionaries or work with Samaritan's Purse themselves. On October 10th, CCC is holding a Family Fun and Fayre day in Chinnor Village Hall, from 10:30am 'til 3:30pm. There will be stalls selling goodies of all sorts (most of them handmade) fun things to do and yummy refreshments and lunches! All money raised from this event will be going to Samaritan's Purse and Operation Christmas Child. If you would like to be involved in any way with the shoeboxes or with the warehouse, or need any other information please contact Pam Dunn 01844 350409.